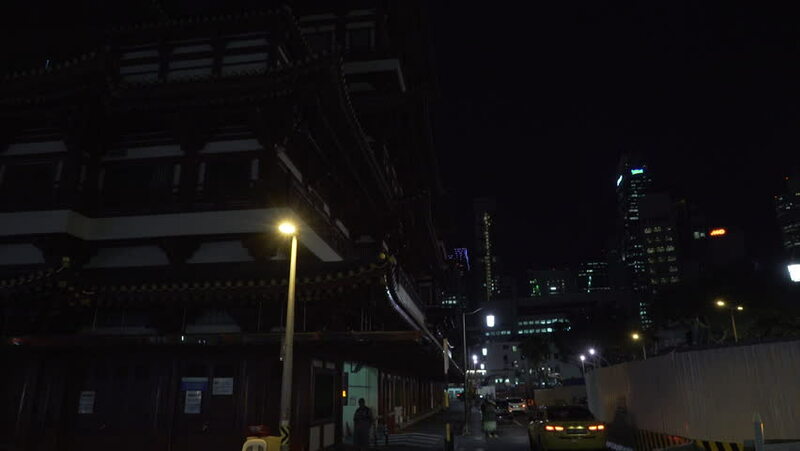 Singapore, March 2015: Chinese Buddha Tooth Relic Temple, dark side street at night. hd01:30Downtown: Los Angeles, CA USA Set #84 - Hero Composite: Car travels S on Lower Grand Ave., then makes a U-turn to travel N on Lower Grand Ave. on a clear day in light traffic. Shot on RED Dragon.